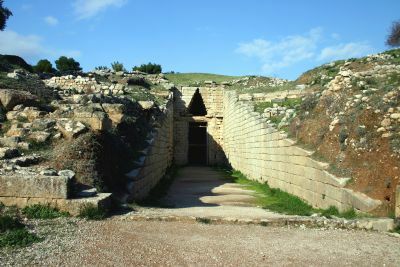 Nine tholos—circular beehive–shaped—tombs have been found in the vicinity of Mycenae. None have been found within the walls of the citadel. This type of tombs dates to the Late Helladic Period—to about 1400–1200 B.C. They have been found in other regions of Greece as well.